Offering you a complete choice of products which include nickel alloy flanges. We offer superior quality Nickel Alloy Flanges which can be availed in various shapes and sizes. 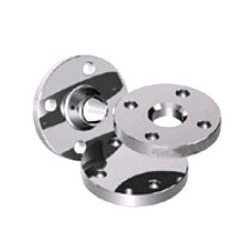 These stainless steel flanges can be availed in various grades. 10, 16, 25, 40 SORF, BLRF, LAP Joint Etc. In Form: SORF, WNRF, BLRF, SWRF, LAP Joint, Threaded, Reducing, Spectacle Etc. Looking for “Nickel Alloy Flanges”?